The emerging chill of early autumn can mean adding some warm fleece to your outfits at this time of year. But there’s still plenty of blue sky to enjoy and lots of reasons to head outside in Richmond, including fall foliage-spotting and birdwatching in local parks and green spaces. There are also some great events to add to your social calendar this month, from 2018’s final night market weekend to a full range of pumpkin-tastic city activities. And since the creaking door of Halloween is just around the corner, it’s also time to plan your costume plus your strategy for snagging as much of your kids’ trick or treat candy as you can. The final hurrah of one of the city’s favourite seasonal activities goes out with a Thanksgiving long weekend bang—which means an extra day to tuck into more than 100 steam-shrouded alfresco food stands serving everything from Japanese poutine to stinky tofu to deep-fried Brazilian snacks. 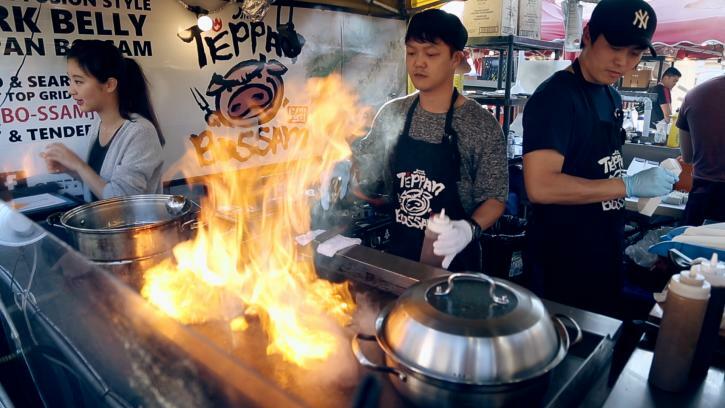 Arrive at the Richmond Night Market early, bring your rampant appetite, and save time to check out the non-food vendor stands and live entertainment while you’re here. Parking is free, but your best bet is to take the Canada Line to Bridgeport Station and follow the signs to the market. Bring the family to the Nature House at one of Richmond’s most beloved green spaces and you’ll discover displays on some of the natural origins and foundations of Halloween. If it’s one of those fine blue-skied fall days, stick around for a crisp autumnal stroll along the trails of the Richmond Nature Park. And if you’re suddenly inspired to pick up a gigantic pumpkin for your own Halloween display, hop in the car and head over to the Pumpkin Patch at Richmond Country Farms for family-friendly activities and the chance to pick your own perfect specimen. Historic Branscombe House, a restored Edwardian home in Steveston that now houses a lively artist-in-residence program, hosts a delightful lantern-making workshop for all ages and skill levels. Under expert guidance, produce your very own glowing work of art to grace your home—the perfect autumnal interior design feature. A cheerful afternoon of tea, treats, and records adds to the warm welcome. No need to book ahead; just drop in from 1:00pm – 3:00pm. As the night market winds down, another pop-up shopping opportunity gears up for the season. Staged inside and outside the Gulf of Georgia Cannery National Historic Site and returning for its fifth run in 2018, the Cannery Farmers&apos; Market serves-up a wide range of arts, crafts, and edible treats to curious visitors. 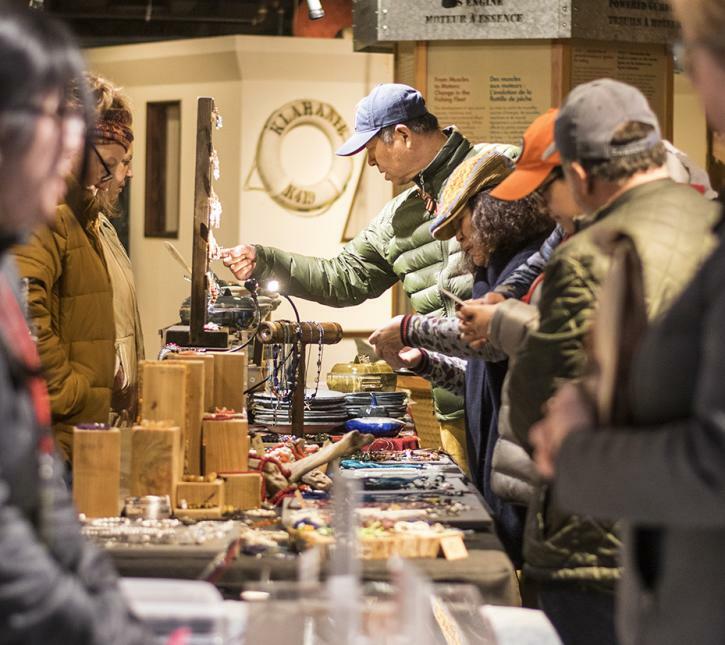 The perfect place to get a head start on your Christmas shopping, entry to the Cannery is also free for the duration of each market (which, after October, runs two to three times per month until April 2019). The latest Family Sunday event at Richmond’s city centre art gallery illuminates the two current exhibitions by Xiaojang Yan and Wen-li Chen. Under the theme of family stories and memories, participants will encounter a host of hands-on activities and will be able to sculpt their own magical figure as well as create a small collage book. All materials are provided; all you need to bring is your creativity and enthusiasm. The perfect family-friendly afternoon activity for young Halloween fans, watch over your costumed kids as they make their own paper baskets and then walk with them along the Britannia boardwalk, visiting the heritage buildings and collecting a non-edible treat en route. Make a spooky weekend of it by heading to the nearby Gulf of Georgia Cannery’s Haunted Sea event as well as Wild Things at Richmond Nature Park, where you and your children will encounter some of Halloween’s most striking creatures. Metro Vancouver’s most fascinating history-themed exhibition is now halfway through its exclusive run at Richmond’s Lipont Place. That means the crowds have eased a little and now is the perfect time to check out its 120 authentic RMS Titanic artifacts, each recovered from the world’s most famous shipwreck. From dishes and luggage to cutlery and a rivet-studded hull section, there are also recreated cabins and an ‘iceberg wall’ to evoke the iconic tragedy. The tail-end of the year’s whale watching season brings your last chance to head to the waterfront and hop aboard a boat operated by Vancouver Whale Watch or Steveston Seabreeze Adventures. Whichever company you choose, you’ll be scanning the ocean for views of local and transient orcas as well as curious seals and birdlife on your three-to-five-hour jaunt. Your friendly guides will tell you all you need to know about the wildlife and, if you’re not staying in Richmond, they can also bring you in for your tour from downtown Vancouver via their shuttle buses.